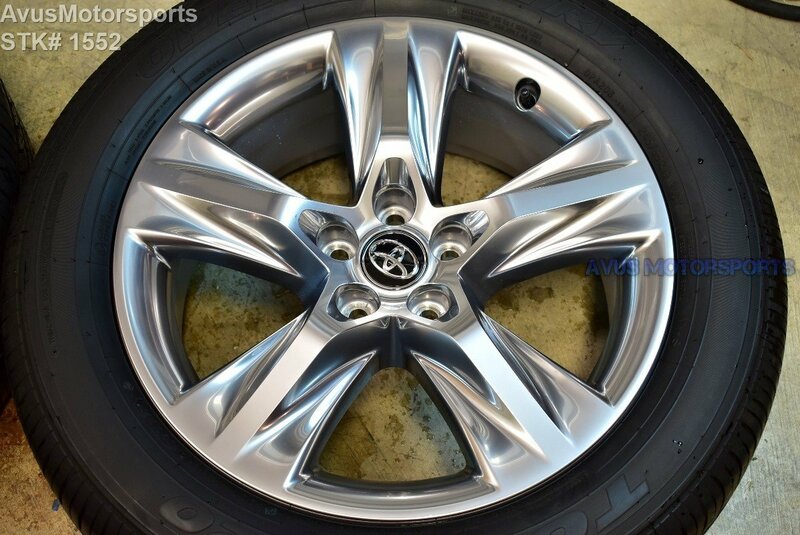 This auction is for ONE (1) 2017 Toyota Highlander Limited 19" OEM genuine factory platinum clad wheel NOT REPLICA with Toyo Open Country A20 245/55r19 . This wheel was taken off because the owner purchased larger aftermarket rims for the vehicle! This wheel was NEVER been remanufactured, repaired or refinished! 100% original!